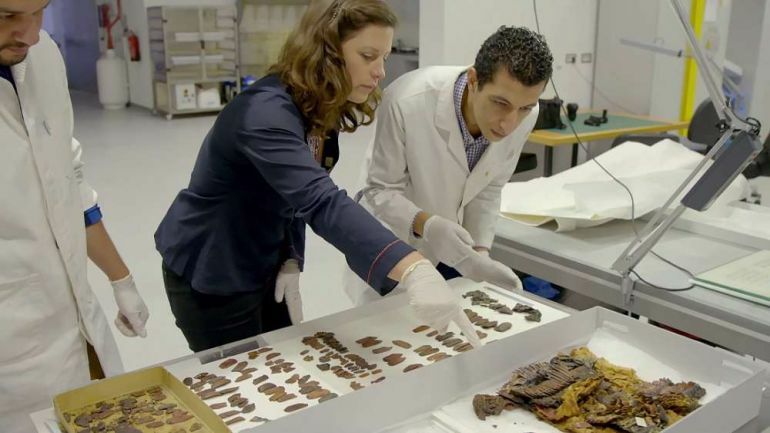 A few days ago, the realm of archaeology and history was caught up in a hullabaloo over King Tut’s leather-made warrior armor. 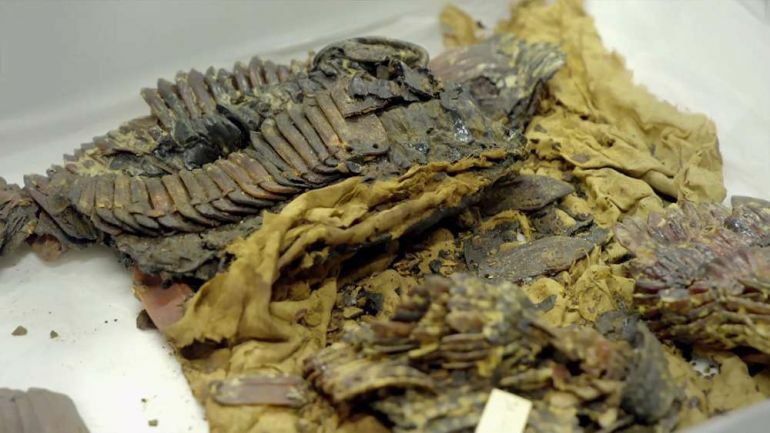 The story boiled down to a 3,000-year old tunic-like garment that was originally discovered in Tutankhamun’s tomb in the 1920s and is currently housed inside in the Grand Egyptian Museum in Cairo. Recently, researchers analyzed the remnants of the leather cuirass by using a technique called reflectance transformation imaging (RTI). The merging of the various images revealed some hidden features of the armor, namely how it was actually worn by a person, as opposed to an ornamental piece. In essence, by leaning on the assessment, many recent media reports are painting a picture of a young warrior pharaoh, instead of a sickly teenager with Kohler disease (a rare bone disorder of the foot) – as was theorized by a 2010 study published in The Journal of the American Medical Association, concerning the actual health status of Tutankhamun. 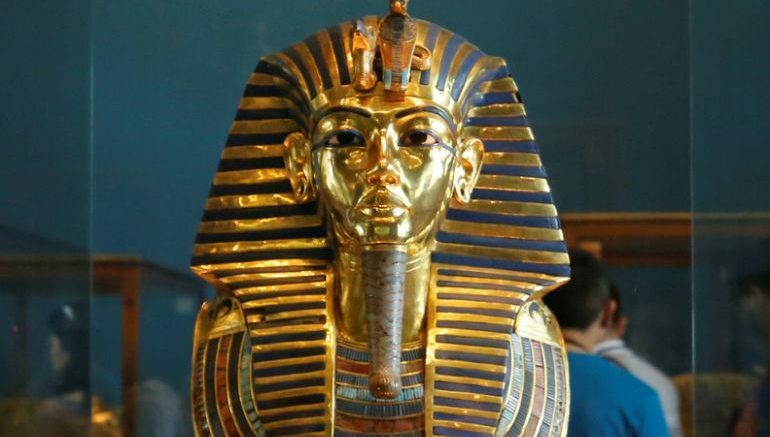 But the question still remains – was Tutankhamun a warrior-king? Well, according to Lucy-Anne Skinner, a doctoral student at the University of Northampton and The British Museum, who took part in the assessment, the hypothesis of Tutankhamun being a warrior is just one possibility. By that degree of deduction, another possibility can just as easily be put forth – the armor was worn by a different person. But one factor, according to Skinner, is almost certain – the armor was used for protection during the ancient times, as opposed to it being interred as a ‘showcase’ funerary object. Furthermore, the researchers also studied the original photograph of the warrior armor after it was found in the 1920s. They deciphered how the leather was a bit stretched and had a torn seam, both of which suggests the wear-and-tear of the panoply before it was even discovered. Interestingly enough, murals on the tomb of Tutankhamun depict the teenage pharaoh wearing his armor and riding into the battle on a chariot, along with scenes of him hunting wild animals. But taking the route of history, such portrayals can be deceiving. For example, even ancient Egyptians records are sketchy when it came to the foreign policy of the realm’s most celebrated king – Ramesses II (or Ramses), concerning the Libyan tribes (who were attested as the Libu or R’bw in Egyptian). So while there are generalized accounts of how Ramses ‘conquered and crushed’ many of these nomads, some of them were possibly propaganda measures or records that juxtaposed (or confused) the feats of the renowned pharaoh with that of his predecessor (and his father) Seti I. Similarly, the most famous military encounter during Ramses’ lifetime arguably relates to the Battle of Kadesh, fought between the ancient Egyptians and Hittites (of Anatolia). And while two Egyptian sources – the Poem of Pentaur and Bulletin proclaimed a resounding Egyptian victory, modern assessment has suggested how the conflict rather ended in a draw, thus leading to what is considered as the world’s first known official peace treaty. In other words, Ramses, like many of his contemporaries, was prone to exaggerating his military achievements, with the propaganda playing its practical part in bolstering the centralized control of the Egyptian state by the ruling class. Much like the modern office of the American president, the Pharaoh of the Ancient Egyptian realm was considered as the head of the state as well as the supreme commander of the armed forces. But unlike his modern-day counterpart, the Pharaoh also boasted absolute control over his kingdom’s resources and the administrative sector. Such an incredible scope of wielding unmitigated power was complemented by the Pharaoh’s association with divine entities, and as such various Ancient Egyptian inscriptions and iconography (especially from 18th and 19th dynasties period) depict Pharaohs in the style of the sun-god. Some of these portrayals even project the Pharaohs as incarnations of the god of war and valor Montu (falcon-god) or as personifications of Egypt itself. The ancient methods used for making this type of leather are not really well understood. Materials will invariably change chemically and physically after being buried for thousands of years, so there are a lot of complicated scientific processes involved in finding these things out. And lastly, in case you are interested, controversially enough, in 2014, King Tut went through what can be termed as virtual autopsy, with a bevy of CT scans, genetic analysis, and over 2,000 digital scans. 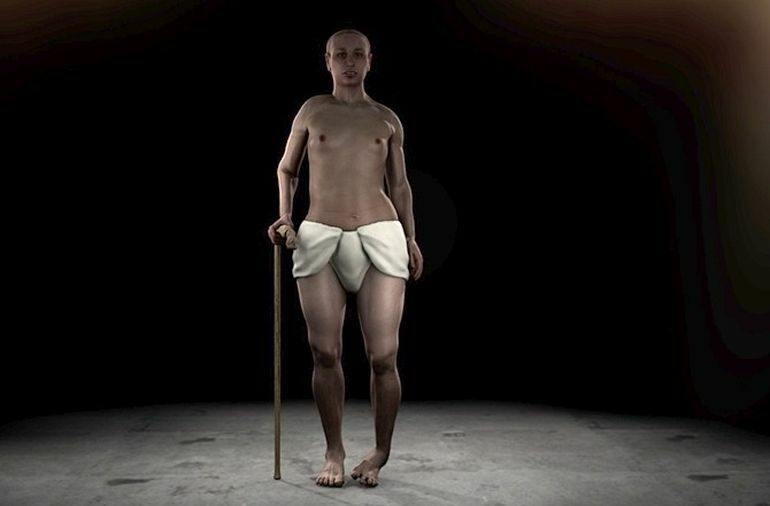 The resulting reconstruction was not kind to the physical attributes of the ancient Egyptian pharaoh, with emerging details like a prominent overbite, slightly malformed hips, and even a club foot – as showcased below.